How much is that old car worth? If you're planning to drive your vehicle for several years, it's a good idea to know how to fix rust on cars. Rust is the enemy of your automobile, but you can protect your car with a few simple steps. Whether you're dealing with a superficial rust issue or a larger problem, one thing is certain: You need to do something about it. If left untreated, rust will only get worse. Depending on the environmental conditions, this degradation can happen very quickly. Begin by assessing the damage. Use a crayon or washable marker to make a circle around the rusted area. Although chemical rust-removal products may offer a quick solution, you can often remove the damaged area more effectively using sandpaper. This method works best if you're dealing with a small rust spot. Use coarse sandpaper, and rub it over the rusted area until no trace of rust remains. Thoroughly clean and dry the surface, removing all traces of rust. Prime the area, and allow the primer to dry. Then carefully apply at least two coats of paint and a topcoat. Always repair dings or scratches in your car's paint. Keep touch-up paint handy, and use it to immediately cover any scratches. If you live in an area where road salt is an issue, be sure to wash your car frequently in the winter. For large rust spots or if your car is a classic, you may want to consult a professional automobile restorer. If possible, keep your car in a covered area to prevent water from accumulating in crevices. Now that your car is rust-free, keep it that way by understanding how it works. 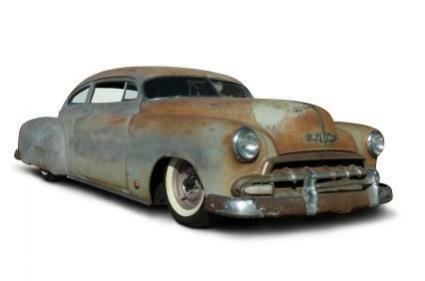 You've probably seen your share of rusty cars, but do you know how rust is formed? Most of your car's body is made of steel. While there are several metals that go into the production of steel, iron is by far the most significant. As the iron in the steel body panels is exposed to water, it begins to oxidize. The iron oxide produced in this process is also known as rust. Gradually, the iron is converted to iron oxide, harming the integrity of your car's body panels. The car's body may be designed to eliminate standing water, slowing the rusting process. Clear coats can protect the steel, delaying the formation of rust. Scratches in the paint will expose the steel panels, making rust more likely. Road salt can accelerate the rusting process. Minimizing a car's exposure may slow rusting. Heat can sometimes accelerate the rusting of steel. How Serious Is Your Rust Issue? Are there any holes in the metal? Does the rusty portion of the car feel fragile? How large is the rust spot? Is the rust orange or a deeper brown color? Surface rust usually involves only the top layer of metal. This is the easiest rust to treat. Deeper problems will involve holes or degraded metal patches, and the rust will be darker in color.